[Updated 9/20/11. See below] The Silicon Valley vs. Boston tech scene discussion is a tired one, I know. But today we’ve seen a number of Boston-area companies make a splash with some significance to the San Francisco Bay Area. —Burst Media, the Burlington, MA-based online ad distributor now owned by Blinkx (a San Francisco video search company), has rolled out four online community channels to help advertisers target gamers, moms, sports fans, and (dare I say it) fashionistas. The new sites—called Giant Realm, MomIQ, Stadium, and Ella—encompass thousands of independent Web publishers and their audiences. The company calls this “a significant first step in the realignment of Burst’s publisher strategy following its acquisition by Blinkx.” It’s also yet another example of tech companies trying to figure out how to distribute better-targeted ads to specific types of consumers. —Bluefin Robotics, the maker of autonomous underwater vehicles in Quincy, MA, has acquired the assets of Hawkes Remotes, a spinoff from Hawkes Ocean Technologies, a Bay Area developer of deep-ocean explorer vehicles. Terms of the deal weren’t given. 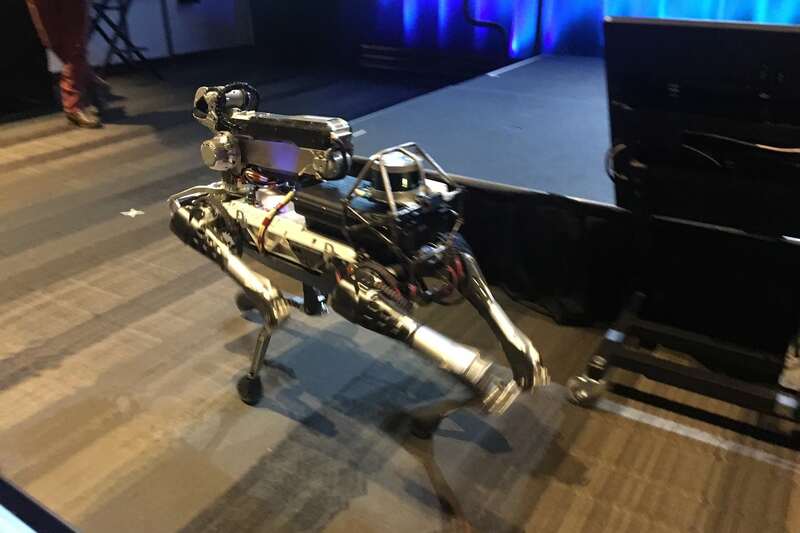 Bluefin Robotics, which is owned by Battelle (and not to be confused with fellow MIT spinout Bluefin Labs), says it plans to work with Hawkes’s remotely operated machines to extend its current product line to the oil and gas industry. —TalkTo, a Cambridge, MA-based mobile software startup, presented at TechCrunch Disrupt in San Francisco yesterday and was selected as one of six semifinalists to compete today. TalkTo makes a mobile app that lets people text any business—like a restaurant or hotel (to book a table or room) or a store (to ask about product selection)—and receive a text response, even if the business doesn’t know about TalkTo. I’m not quite sure how this works yet, but it sounds like a clever way to spread awareness of the app. It’s also yet another tool that local merchants will have to figure out if they want to use to communicate with customers. —Tasted Menu, a Boston-area food tech startup, announced its beta launch today. The idea is to get people to rate the quality of specific restaurant dishes and share photos of them online. The startup, which is backed by angel investors, faces plenty of competition from companies like San Francisco-based Foodspotting and Boston-based Locu (formerly Goodplates, which was working on a dish-rating app).